My final selection of paintings by Pierre Bonnard looks at one of his most interesting pictorial devices: the landscape view through French or other windows. Bonnard developed a taste for views from high points in his cityscapes of Paris during the last years of the nineteenth century. Many of his paintings from that time adopt a high viewpoint from the second or third floor, and look down on bustling people, carriages, and pets in the street. But as far as I can see, he didn’t include the frame of the window in those views. 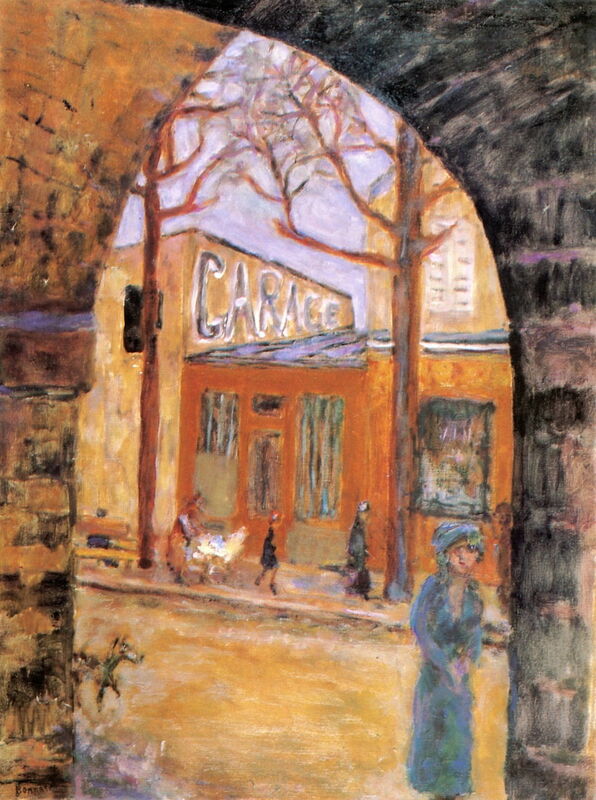 Pierre Bonnard (1867-1947), Street Scene (The Auteuil Viaduct) (c 1910), oil on canvas, 61.5 x 46.3 cm, Private collection. The Athenaeum.